There is much written about ethos and it is often wrongly conceived. However, far from being complex, ethos is actually straightforward; defined simply it is what a group does and how it does it. 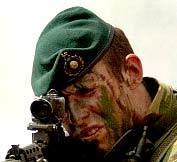 The ethos of the Royal Marines refers to our role and the way we fulfil it. Since the Second World War, we have developed a specific function as a commando and amphibious force, undertaking operations in harsh environments be they mountain, jungle, cold weather or desert. This difficult and unique task requires certain personal characteristics, which are nurtured at the Commando Training Centre during training and then maintained and developed during our subsequent service. It is because of these individual qualities that we are able to fulfil our collective role successfully; combined, these two key elements form our ethos. This pamphlet seeks to lay out what we mean by ethos and what sets us apart as Royal Marines. Whilst ethos is what we do and how we do it, it draws upon historical tradition. Corps history since 1664 gives us an identity, a collective pride and a host of great ‘dits’, not to mention 10 Victoria Crosses! But our Commando role is relatively recent, dating back to Churchill’s demand for the raising of raiding forces to harass the Continent after the debacle of May 1940. Our symbol of the Globe and Laurel remains appropriate because, like our forebears, we must be prepared to fight and win, anywhere in the world. The difference now is the way we fight – the Commando role – exemplified by the Commando dagger that is now our formation flash. The four elements of Commando Spirit; courage, determination, unselfishness, and cheerfulness in the face of adversity, are well known to all recruits by the time they complete Commando training. But these constituents of the ‘Commando Spirit’ are what make us individual ‘commandos’. What shapes the way we then work as a team, giving the Royal Marines its special identity, the way we carry out our duties, is a second set of group values laid out below. They should seem quite familiar. It is the combination of individual Commando Spirit qualities, coupled with these group values, that together forms our Royal Marines ethos. Unity and solidarity across the ranks allows the Corps to be adaptable; open to information and opinion from every available angle and able to adapt to this new knowledge. The Commando role demands an ability to adapt at short notice and to respond to new developments. An important principle during training is constant uncertainty, which breeds an ability to innovate and improvise and must be second nature to all members of the Royal Marines. This ability to respond to ever changing situations was put to great effect time and time again at the tactical level during operations in Afghanistan and Iraq. Our emphasis on adaptability is a product of our maritime heritage; when the Royal Navy deploys it must achieve its mission with whatever resources are immediately available as additional support may well be weeks away. Adaptability is thus as much a part of our parent organisation’s ethos as it is of our own. 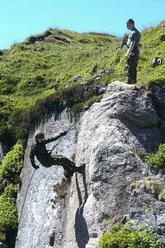 Commando tests The Royal Marines is an organisation that is sometimes criticised for its understated approach. This is not just false modesty; arrogant organisations believe they have little to learn from others, and arrogance leads to inflexibility and rigidity. In order to adapt and innovate it is essential that the Corps, while proud of its standards, remains sufficiently self critical – humble enough – to recognise and adopt the good practices of other institutions. Humility also contributes to the essential bond between all ranks and on operations allows us to work with considerable success, from our handling of Prisoners of War, to our interaction with civilian populations and non-combatants. The three group values so far are shared by many other non-military institutions; it is these, coupled with an adherence to the highest professional standards as amphibious commandos that ensures the success of the Royal Marines as a military force. The environment in which commandos operate is complex, dangerous and uncertain, and successful action in this sphere requires the highest professional standards. In response to the unforeseen on operations, we must automatically fall back on the same core skills, knowing that our ‘oppos’ will be doing the same. Training, both at the Commando Training Centre and thereafter, is intended to develop common procedures, which will be instantly and collectively followed. Professional standards generate an individual and collective response to any situation. 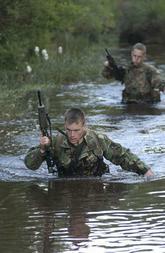 The Royal Marines’ training standards guarantee a level of professionalism that contributes to operational success. Every man is Commando trained; every man is guaranteed to react, perform and deliver to a level that can be relied upon by his comrades and his superiors. It is only by the fierce adherence to the Royal Marines’ professional standards that we will retain our operational utility as a Commando force. It is fortitude that underpins achievement rather than simply physical fitness. Whilst fitness remains a critical component of our success, it will not, by itself, guarantee it. Our physical abilities must not be directed in one particular direction, we must be good ‘all rounders’ with an ability to run whilst carrying weight, to cover considerable distances with a heavy load, to climb obstacles and to work on foot in difficult terrain; all set against a backdrop of lack of sleep, uncertainty, fear and harsh weather conditions. We have to be as comfortable operating at minus 30 degrees in the Arctic winter as we are patrolling at altitude over rugged terrain in central Asia. It boils down to fortitude; an ability to endure no matter what the conditions and no matter how tired we feel. Commando training is all about enduring. It is the mental stamina to continue, when everything is telling you to stop, coupled with physical fitness, that results in fortitude. The ‘yomp’ across the Falkland Islands, the altitude of Afghanistan, the heat of Iraq, all were overcome by individual and collective fortitude; mental will that builds upon, but goes beyond, professional skills and physical fitness. Ice Breaking Drills How better to ‘endure’ than with humour? One of the four individual Commando Spirit characteristics, cheerfulness in the face of adversity is made possible only by humour, which although apparently superfluous to operational effectiveness is actually fundamental to the way we operate within the Corps. A sense of humour allows ‘Royal’ to come to terms with demanding situations, whether it be the physical hardship or the fear and uncertainty of operations. We have our own particular humour; no matter how grim the situation we manage to see the funny side. If an ‘oppo’ is injured we’ll immediately give help and assistance, but we’ll also be inclined to offer gentle ridicule rather than sympathy! This sort of humour can seem incomprehensible to an outsider but to us it is second nature; we’d expect nothing else! Our unique commando humour allows us not only to endure hardship, but actually to enjoy enduring! Telling stories or ‘spinning dits’, so fundamental to life in the Corps, has become an important way of sustaining our ethos. The Royal Marines have a dit for every occasion and a good dit is precisely the one, which correctly reflects ‘Royal’s’ understanding of himself. Dits about operational experiences are also used to great effect during all stages of training, but particularly by the recruit troop instructors at the Commando Training Centre where the currency of recent operational experience is invaluable. Dits are a crucial means by which members of the Royal Marines maintain their history, communicate to each other knowledge and skills, but most importantly the attitudes so necessary to the performance of our role. So that’s ethos, not quite so abstract after all. But ethos needs to be maintained and we must guard against those things that threaten it. We must beware of arrogance, of contempt for others, of a belief that we are special simply because of what we are. We are special because of what we do and the way that we do it, not what we are – that is our ethos, and we must guard it fiercely.